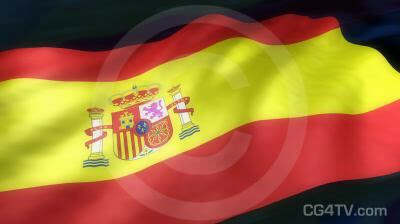 Royalty free Spanish flag looping 3D animation. Available in HDTV (1920 x 1080) resolution, standard NTSC and PAL, and web optimized resolution. Every National Flag flies as a globally recognized symbol of the nation it represents as well as that nation's people and their spirit. The Spanish Flag is no exception. 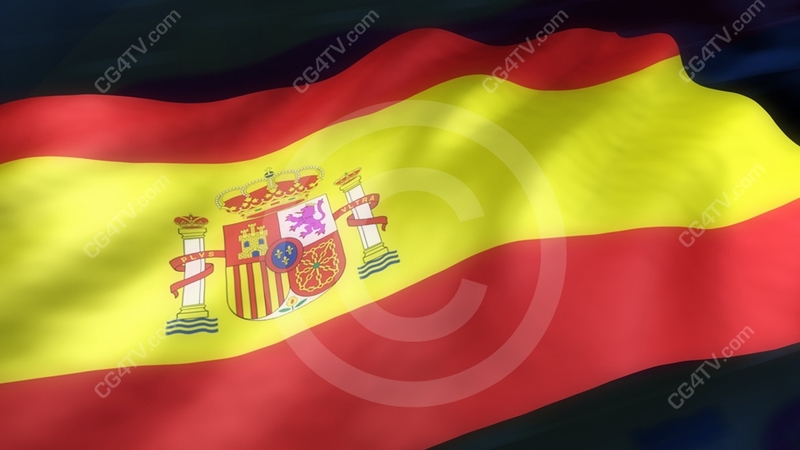 Serving as an icon to Spain's people, the Spanish Flag is a recognition-at-a-glance 3D Animation Image that immediately invokes thought of the Spanish Flag's country of origin to the world community. Order your Spanish Flag 3D Looping Animation and download your 3D Animation right now, instantly, with just a few simple clicks of your mouse!